We did it again! Another winter skiing vacation in the Italian Dolomites is behind us. It was a week of a clear blue sky, beautiful vistas and excellent skiing. The sun was shining like crazy and only on the last day we saw a couple of small white clouds somewhere on the horizon. We stayed at our standard apartment we adopted over the years. Civetta has been the area of our choice for some time now and we are still not tired of it. Nevertheless each year we go check out another nearby ski area. 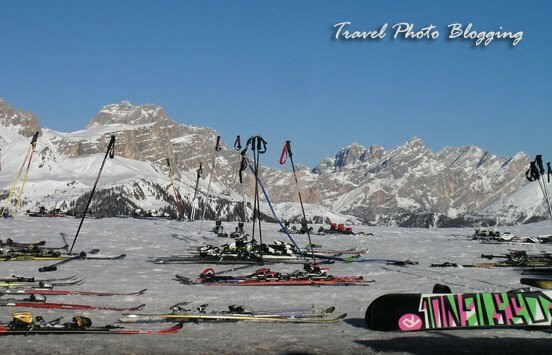 This year we voted for Cortina d'Ampezzo and tried most of the slopes. Cortina is also called "Queen of Dolomites", but I got an impression that this queen is getting a bit old and many "princesses" in the neighborhood are trying hard to take the crown away from her. Some facilities already seem a bit out of date and it looks like the old glory has faded a little over the years. Despite all that we had a great time there. Especially those slopes at higher altitudes are truly stunning. 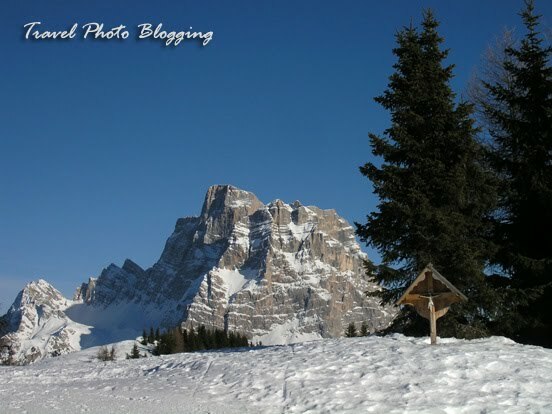 The two photos published in this post are from Civetta ski area. Wow, such incredible blue skies! I love it. I'm not sure if I'd ever go skiing, although I was a good ice skater back in the day. It looks like conditions were brilliant for you though. I definitely recommend Dolomites as a fabulous location, but maybe as a beginner you won't really know how to appreciate all those kilometres of slopes. Heh. If I came to Slovenia, I would be too busy in the cities appreciating the architecture to worry about skiing! :) It's only a matter of time (which we usually don't have).